Adaptation is a skill animals use to survive. Adaptation means that the animal is able to survive with resources. Adaptation changes could be the animal changing or its behavior. 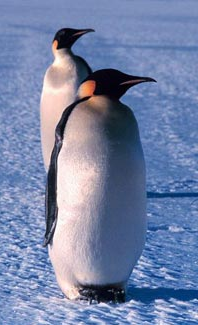 Penguin-While other birds have wings for flying, penguins have adapted flippers to help them swim in the water. Penguin’s black and white plumage serves as camouflage while swimming. The black plumage on their back is hard to see from above, while the white plumage on their front looks like the sun reflecting off the surface of the water when seen from below.